Scroll down to see all events. Use arrows to go to Next or Previous Month. No Events this month. Use arrows to go to the next month. 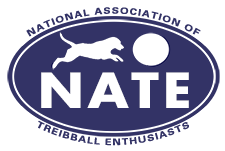 The instructions for hosting a trial are in the NATE Rules Handbook. NATE Video Titling - Too far to the nearest trainer? You can title by submitting a video. Find out more in the NATE Rules Handbook.